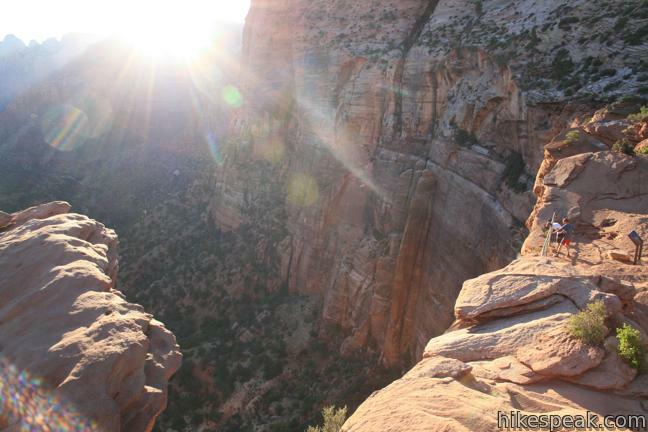 Created in 1919, Zion National Park is Utah’s first national park. Today the park protects 229 square miles of canyon country and receives close to three million visitors each year. Zion National Park sits on a meeting point of the Mojave Desert, Great Basin, and Colorado Plateau, culminating in distinct geologic features and immense natural diversity. The tall sandstone walls of Zion Canyon are nothing short of extraordinary. Most visits to Zion National Park are concentrated in a 15-mile stretch of Zion Canyon, where the Virgin River has carved dramatic orange walls out of the sandstone. To help preserve this popular canyon, traffic is restricted to park shuttles from mid-March through mid-November. 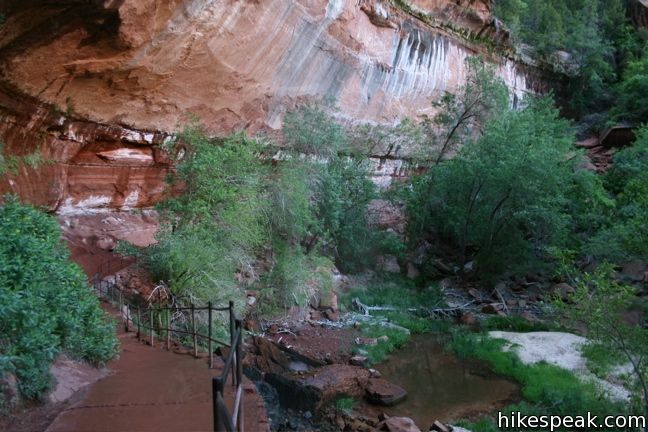 Nine stops established throughout the canyon make it easy to get to and from each trailhead. The shuttles run from around 7 a.m. to 11 p.m. Waiting time is usually less than ten minutes. and $20 per person on a bike or walking into the park (as of 2019). Each entry is valid for a week. Annual America the Beautiful Federal Recreational Lands passes may also be used. Campgrounds are located at the south end of Zion Canyon. 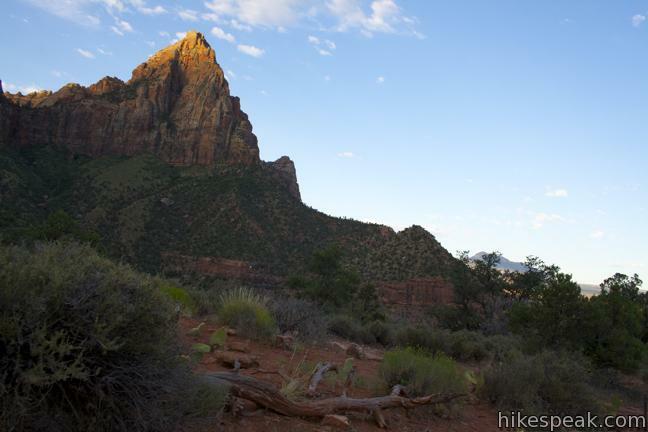 Drinking water is available near most trailheads in Zion Canyon, which is important because summer temperatures are typically into the 100s. 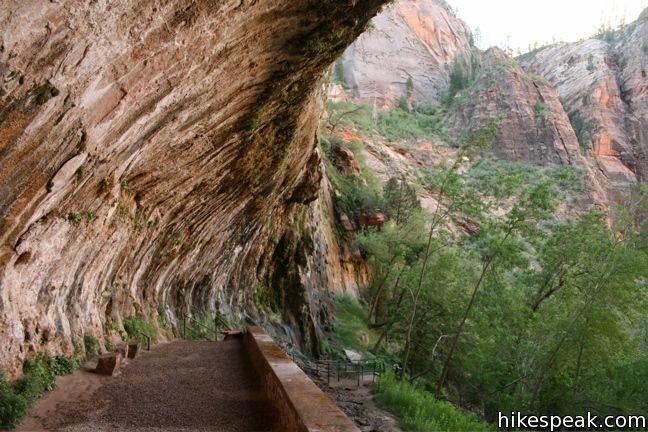 It is actually possible to hike in the shade for most of the day within the deep trench of Zion Canyon, which can be helpful on those hot days. 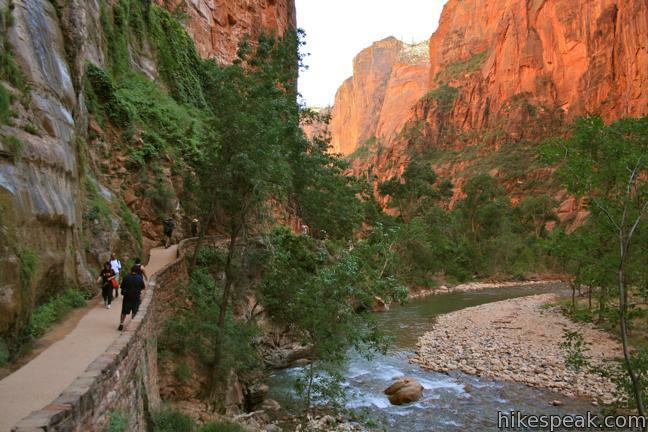 Zion National Park gives visitors much to explore and appreciate. 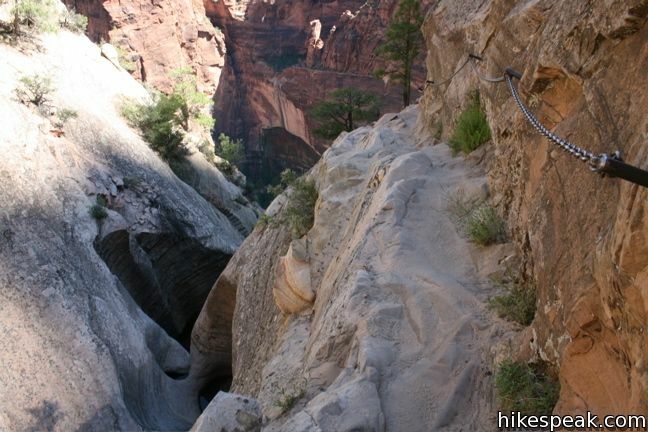 This collection of trails in Zion National Park lists hikes from north to south. The table may also be sorted alphabetically or by distance to help you pick your next hike. Each trail links to its own report complete with photos, GPS maps, elevation profiles, directions, and all the other information needed to locate and enjoy these hikes. 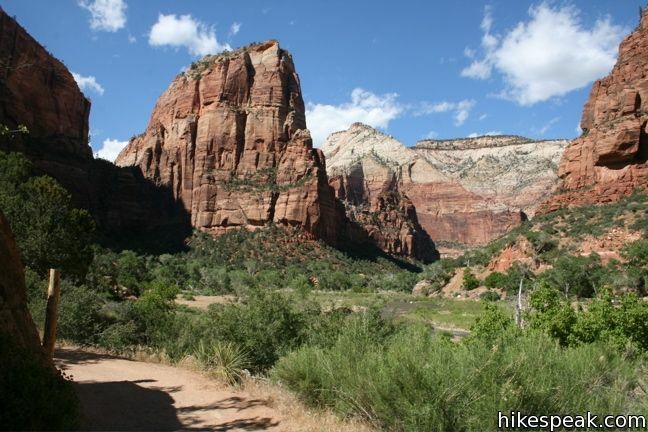 You can also view hikes around Zion National Park on the Hike Finder Map.